This is a local Mafia like service. What's funny is that the sign said that they offered 'soft' service. What? Are they collecting using 'Please'? 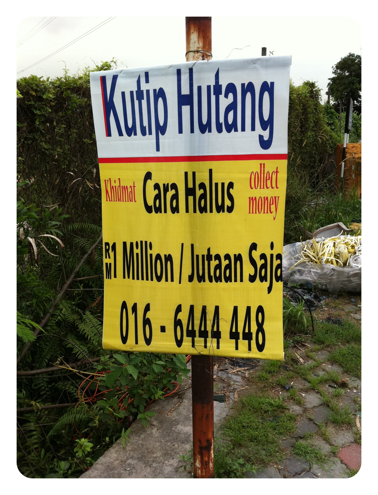 Ringgit .. cara halus here means they are using the black magic way. In certain culture they believed in manusia halus (or known as toyol). but it's still shocking people can end up in this sort of method!